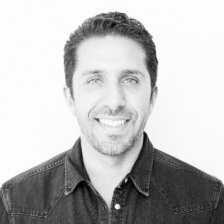 Nadeem is currently Director of Business Development at Ripple overseeing EMEA. Nadeem has over 13 years of prior experience in banking, payments & FinTech, most recently overseeing Deutsche Bank’s electronic FX platforms in North America. Nadeem has held similar roles across Middle East, Africa & Europe managing the sales teams covering financial institutions and corporates. Nadeem holds a Masters in Electronic Engineering from Imperial College London.